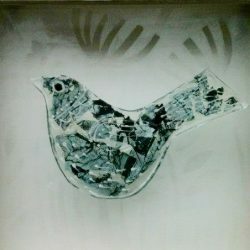 Niki hand makes fused glass art pieces to buy and made to order. 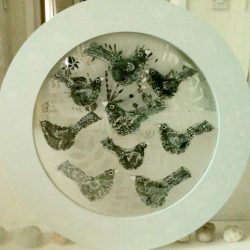 Although originally a printmaker, Niki has always loved learning new techniques. 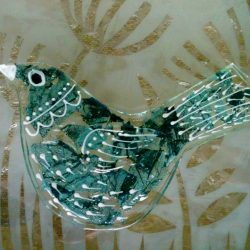 Whilst studying for an MA at Oxford Brookes she was introduced to glass fusing by local artist Lorna Prudden and it was glass that really captured her imagination and is her artisitc muse. 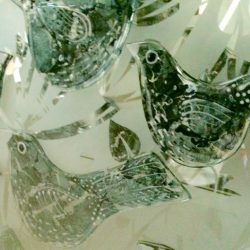 Niki’s work is inspired by frequent trips to Cornwall; the Portholes reflecting the Cornish fishing industry and the smaller pieces by the art and colours of St Ives, particularly the work of Terry Frost and Patrick Heron. Cornwall and her home in Gloucestershire are places where she has always found inspiration.